2017 done, dusted … and we’re still alive! We may be the laughingstock of the planet, but at least we’re still here to laugh. And at the end of these next four years (or less … hope springs eternal!) we may even have learned something valuable about ourselves as a nation. There is a feeling somewhere inside me that says this struggle we’re facing will make us a better people and a better nation. Don’t get me wrong, I still think most people don’t know what’s good for them, but I think enough people will realize that what we have right now is DEFINITELY NOT GOOD for them! While the country wrestles with our new reality, I’ve retreated with my family to weather the storm. I also went back to the music that I loved when I was a teenager … for much of the year I listened to a lot of music from the 80’s. Thankfully, my wife and kids love the stuff! 1. 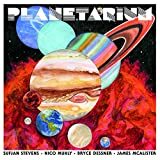 Planetarium – Planetarium: Really a rather good collaboration between Sufjan Stevens, Nico Muhly, Bryce Dessner and James McAlister. It’s got a lot of things that I love … Sufjan’s voice, esoteric lyrics, ambient soundscapes, baroque pop, trip-hop style drums and percussion. It’s also got liberal, yet tasteful, use of autotune, which normally I’d pass on … but with Sufjan, it works. 2. New Pornographers – Whiteout Conditions: Continuing the 80’s themed production, AC Newman turns out yet another album of first class power pop. With slightly more organic production (like their early classics), this would be just about perfect. High ticket attractions. 3. 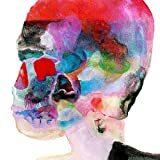 Spoon – Hot Thoughts: Again, Spoon can really do no wrong. The riffs, the atmosphere, the attitude, Britt’s voice … nearly perfect. My only minor complaint is that maybe on this release, they’ve gone just a bit too minimal lyrically … the stories aren’t quite as intriguing as usual. 4. 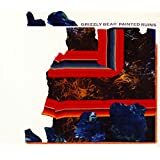 Grizzly Bear – Painted Ruins: Not quite as good as their last two albums, but still pretty great. The highs are high, and there are only a few false steps that make this slightly less than stellar. 5. 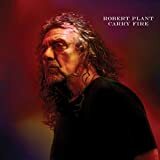 Robert Plant – Carry Fire: I can’t help it, I just really like where Robert Plant has gone in the past decade. He’s figured out how to make the most of his voice, even when he can’t do what he used to do. The “less is more” philosophy works wonders here. I wish Richard Thompson would follow the same line of thinking! The production is a nice mix of organic and contemporary. 6. Diagrams – Dorothy: A beautiful little album from the architect of a former favorite (Tunng). On this album, he collaborates with an obscure poet from the Pacific Northwest, Dorothy Trogdon, who writes lovely, humble poems about the simple truths, trials and pleasures of life. 7. 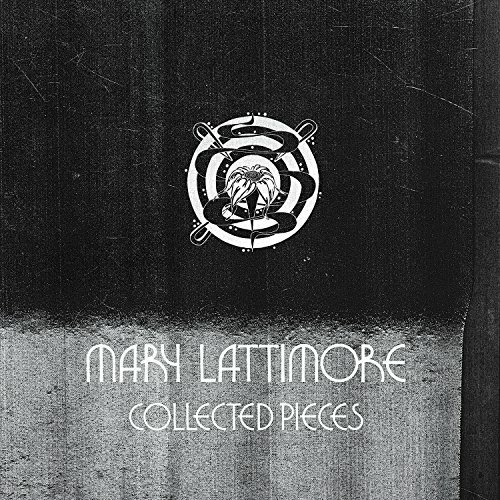 Mary Lattimore – Collected Pieces: Treated harp, nothing else. I love it. This would make the perfect backdrop for Bjork’s newest album (which I like, but has a few major drawbacks). 8. 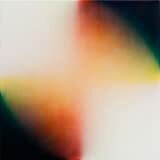 Bing and Ruth – No Home of the Mind: A more concentrated effort from this minimalist pianist/composer. I love the repetitious, trance-inducing nature of this music, and the almost random swells of bass and effects that occasionally loom into the frame of these songs. 9. 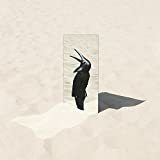 Penguin Cafe Orchestra – The Imperfect Sea: I’ve never heard the Penguin Cafe Orchestra, but I loved this from the moment I heard it. Swelling strings, exotic rhythms and minimal melodies. 10. 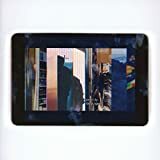 Portico Quartet – Art in the Age of Automation: Kind of a new-agey, jazzy, trip-hop album … sounds terrible, but I like it. Could be the soundtrack to a contemporary British crime drama. 11. Johnny Flynn – Sillion: First heard him on the Detectorists. While the title track to that series is my favorite (and not on this album), there are some great songs here in the British folk tradition, as well as some Van Morrison inspired celtic soul. You either love or hate his voice. 12. Fionn Regan – the Meeting of the Waters: Some beautiful, introspective songs here … but certainly his weakest album. For the time since his last album, I was hoping for more. Still, I love his voice and his lyrical perspective. Hopefully, the next one is more thoughtfully planned. 13. 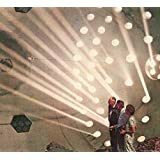 Heliocentrics – A World of Masks: Weird, jazz/soul/ambient cinematic musings. 14. Brian Eno – Reflection: An hour long meditation on melancholy and hope. 15. Tom Rogerson & Brian Eno – Finding Shore: Piano/effects collaboration. Nice. All classics … and now sounding really good. I’m no audiophile, but I can hear the difference from the original CD releases. Neil is just a classic songwriter and these songs never get tired. Hitchhiker is a bonus … acoustic renditions of some classics and some unreleased gems. Bert Jansch – Living in the Shadows box, On the Edge of a Dream box: Some of these albums I’ve wanted for quite awhile, just never got around to buying them. Now all of his later releases are compiled in a set of beautiful book releases. Quite nice. Be the first to comment on "Matt Nerney Poop 2017"